Mexican authorities have been waging a war against drug trafficking organizations for more than a decade, but with limited success. Thousands of Mexicans, including politicians, students, and journalists, continue to die in the conflict every year. In 2018, homicides hit a new high at more than twenty-eight thousand; many were linked to drug cartels. Successive U.S. administrations have partnered closely with Mexico in this fight, providing billions of dollars for Mexico to modernize its security forces, reform its judicial system, and make other investments. 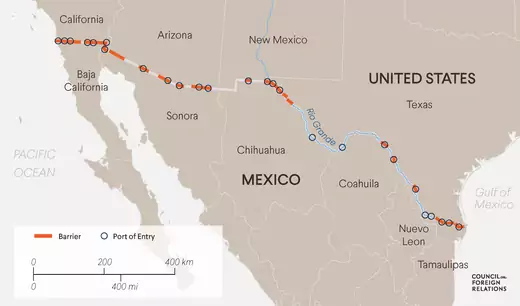 Washington has also sought to stem the flow of illegal drugs into the United States by bolstering security on its southern border, although a debate has flared over the utility of expanding the physical barrier there. What drugs do the cartels traffic? 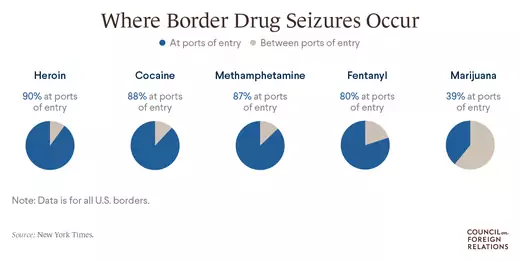 Mexican drug trafficking organizations (DTOs) are the largest foreign suppliers [PDF] of heroin, methamphetamines, and cocaine to the United States, according to the U.S. Drug Enforcement Administration (DEA). Mexican suppliers are responsible for most heroin and methamphetamine production, while cocaine is largely produced in Bolivia, Colombia, and Peru, and then transported through Mexico. Mexican cartels are also leading manufacturers of fentanyl, a synthetic opioid many times more potent than heroin. U.S. seizures of the drug have soared in recent years. Legalization of [marijuana] in some U.S. jurisdictions and Canada has pushed DTOs to refocus on harder drugs, such as heroin. The cartels also produce and smuggle vast quantities of marijuana into the United States, but legalization of the drug in some U.S. jurisdictions and Canada has pushed DTOs to refocus on harder drugs, such as heroin, whose demand has skyrocketed with the rise of the U.S. opioid epidemic. Mexican heroin production increased by 37 percent between 2016 and 2017 alone. Which are the largest cartels? Sinaloa Cartel. Formerly led by Joaquin “El Chapo” Guzman, the Sinaloa Cartel is one of Mexico’s oldest and most influential cartels. With strongholds along Mexico’s Pacific coast, it has a larger international footprint than any of its Mexican rivals. In 2017, Mexican authorities extradited Guzman to the United States, where he is on trial for multiple drug-related charges. Jalisco New Generation. The Jalisco cartel splintered from the Sinaloa Cartel in 2010. According to the DEA, the “rapid expansion of its drug trafficking activities is characterized by the organization’s willingness to engage in violent confrontations” with authorities and other cartels. Juarez Cartel. A long-standing rival of the Sinaloa Cartel, the Juarez Cartel’s stronghold is in the north-central state of Chihuahua, across the border from New Mexico and Texas. Gulf Cartel. The Gulf Cartel’s base of power is in the northeastern state of Tamaulipas. According to the DEA, arrests of its leaders in recent years have diminished the organization’s influence. Los Zetas. Originally a paramilitary group for the Gulf Cartel, Los Zetas was singled out in 2007 by the DEA as the country’s most “technologically advanced, sophisticated, and violent” group. It splintered from the Gulf Cartel in 2010 and held sway over swaths of eastern, central, and southern Mexico, but it has reportedly lost power in recent years. Beltran-Leyva Organization. Formed when the Beltran-Leyva brothers split from the Sinaloa Cartel in 2008, the group partners with the Juarez Cartel and Los Zetas. Since then, all four Beltran-Leyva brothers have been arrested or killed, but their loyalists operate throughout Mexico. What led to their growth? Experts point to both domestic and international forces. In Mexico, cartels pay off judges, police, politicians, and other officials using their vast drug profits, which the U.S. government estimates to be worth tens of billions of dollars a year. The cartels flourished during the decades that Mexico was ruled by a single party, the Institutional Revolutionary Party (PRI). DTOs created a “network of corruption that ensured distribution rights, market access, and even official government protection for drug traffickers in exchange for lucrative bribes,” wrote David Shirk, director of the Justice in Mexico program at the University of San Diego, in a 2011 CFR report. The PRI’s unbroken reign finally ended in 2000 with the election of President Vicente Fox of the National Action Party (PAN). With new politicians in power, cartels ramped up violence against the government in an effort to reestablish their hold [PDF] on the state. Cartels pay off judges, police, politicians, and other officials using their vast drug profits. At the international level, Mexican cartels began to take on a much larger role in trafficking drugs in the late 1980s, after U.S. government agencies broke up the Caribbean networks used by Colombian cartels to smuggle cocaine. Mexican gangs eventually shifted from being couriers for Colombian DTOs to being wholesalers. All the while, the U.S. government, despite waging a “war on drugs” and conducting other counternarcotics efforts abroad, made little progress in reducing the demand for illegal drugs. A 2014 RAND Corporation study prepared for the White House found that Americans spent more than $100 billion [PDF] in 2010 on illicit drugs, roughly the same amount they spent in 2000. How are drugs smuggled into the United States? Most illicit drugs are smuggled from Mexico into the United States through the more than three hundred ports of entry, or legal crossings, which are controlled by U.S. Customs and Border Protection (CBP). Traffickers hide or disguise drugs in passenger vehicles and tractor trailers and, to a lesser extent, on buses and cargo trains. A smaller percentage is smuggled between ports of entry, along the 1,900-mile southwestern border, an area patrolled by Border Patrol. Mexican traffickers transport drugs across land trails or through underground tunnels that traverse the border. In recent years, cartels have also used drones to transport contraband. Once in the United States, traffickers deliver drugs to smaller local groups and street gangs—mainly comprised of Mexican nationals or U.S. citizens of Mexican descent—who manage retail-level distribution in cities throughout the country. What measures has Mexico taken to stem the drug trade? Felipe Calderon (2006–2012). President Calderon declared war on the cartels shortly after taking office. Over the course of his six-year term, he deployed tens of thousands of military personnel to supplement and, in many cases, replace local police forces. With U.S. assistance, the Mexican military captured or killed twenty-five of the top thirty-seven drug kingpins in Mexico. The militarized crackdown was a centerpiece of Calderon’s tenure. Enrique Pena Nieto (2012–2018). Calderon’s successor said he would focus more on reducing violence against civilians and businesses than on removing the leaders of cartels. Despite these ambitions, President Pena Nieto relied heavily [PDF] on the military, in combination with the federal police, to battle the cartels. He also created a new national police force, or gendarmerie, of several thousand officers. Homicides declined in the first years of Pena Nieto’s presidency. But 2015 saw an uptick, and by the end of his term, homicide levels had risen to the highest level in modern Mexican history. Experts attribute this to the continued fallout of Calderon’s kingpin strategy and territorial feuds between gangs. Andres Manuel Lopez Obrador (2018–Present). President Lopez Obrador is pushing for amnesty for low-level criminals and more liberal drug laws, but critics say his plans to deploy a new national guard will combine military and police forces, against the cartels echo the mistakes of his predecessors. Credit: CFR Editorial. Source: Instituto Nacional de Estadistica y Geografia. What has the toll been on human rights? Civil liberties groups, journalists, and others have criticized the Mexican government’s war on the cartels for years, accusing the military and police of widespread human rights violations, including torture, extrajudicial killings, and forced disappearances. The whereabouts of more than thirty-seven thousand people who have gone missing since 2006 remain a mystery. One of the most chilling examples of these abuses occurred in the southern state of Guerrero in 2014, when more than forty student protestors were abducted and killed. Mexican investigators found that the mayor had directed police to kidnap the students and hand them over to a local drug gang. The incident prompted mass demonstrations across Mexico. In recent years, the emergence of vigilante groups [PDF], known as autodefensas, has exacerbated the problem. Made up of mostly rural farmers, these civilian militias have attempted to fight drug traffickers and restore order to towns, filling in where local police have failed. Though illegal, these groups became a formidable force against the cartels in states including Guerrero, Oaxaca, and Michoacan. Some observers are concerned these groups have ties to organized crime themselves and could turn on the people they claim to protect. What assistance has the U.S. government provided? building strong and resilient communities. Thus far, the U.S. government has appropriated about $3 billion in Merida aid, including hundreds of millions of dollars to train Mexico’s counternarcotic forces and equip it with helicopters and inspection hardware. The two governments revised the partnership in 2011, placing a larger emphasis on institution-building, including reforms of the police and judiciary, economic development, and social programs. In recent years, the United States has sent CIA operatives and security contractors to train Mexican federal police. The United States has also sent unarmed drones to collect intelligence on traffickers. Meanwhile, the United States has ramped up security on its side of the border, increasing the number of agents there [PDF] from some eleven thousand in 2004 to more than sixteen thousand in 2017. President Donald J. Trump has made border security a focal point of his administration and promised to erect a wall along the entire frontier with Mexico, only one-third of which is currently fenced. However, many experts question whether building out the wall, which could run into the tens of billions of dollars, is worth the cost. A better strategy, they say, would be to deploy more personnel and the latest surveillance technologies, in addition to building some new barriers. 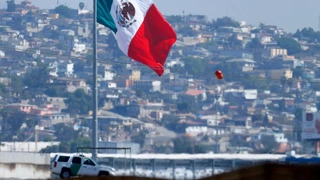 In December 2018, the Trump administration announced a new assistance program with Mexico intended to stem irregular migration and narcotics trafficking, pledging more than $4 billion toward promoting security and creating jobs in southern Mexico. A Congressional Research Service [PDF] report details the sources and scope of violence in Mexico's drug war. A report from the University of San Diego's Trans-Border Institute [PDF] details the challenges of calculating the toll of Mexico's drug violence, and analyzes shifting patterns in the country's organized crime. A Wilson Center [PDF] report compiles various policy proposals on how Mexico should combat the drug trade. Patricio Asfura-Heim and Ralph H. Espach write about the rise of Mexico's self-defense forces in Foreign Affairs. CFR's Shannon O'Neil discusses the United States' bilateral security relationship with Mexico in this June 2013 testimony before the Senate subcommittee on Western Hemisphere and global narcotics affairs.